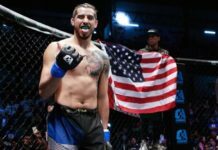 Robert Whittaker has a chance to reach rarefied air by defending his title at home, but Kelvin Gastelum wants the vindication that will only come with a victory at UFC 234. 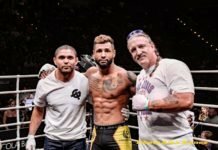 Though it often is put behind Brazil and the United States, there’s no question that Australia is home to one of the most passionate mixed martial arts fan bases in the world. At UFC 234, their native son Robert Whittaker will look to enter rarefied air as he looks to defend his title in Melbourne. 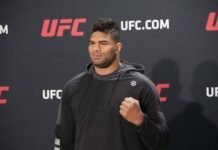 But if there is a challenger tailor-made to spoil his homecoming, it is Kelvin Gastelum, who will be looking to change his reputation and course of his career by winning the world title. 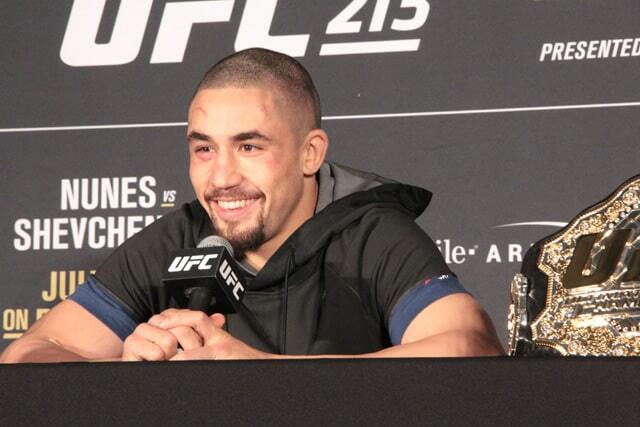 A year ago, Robert Whittaker was in this exact position with a chance to headline a major event in his home country with a defense of his world title. An illness took away his opportunity, but he now gets a second chance to become a mega-star at home. 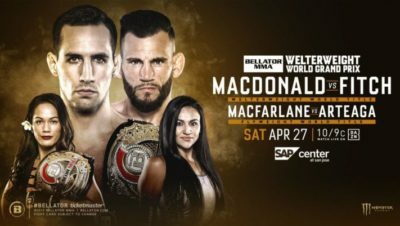 In the same vein as Georges St-Pierre in Canada and Michael Bisping in England, Whittaker has become the type of must-see television in his homeland that has made the UFC take notice. Already a world champion before the age of 30, a victory will likely push him into the stardom that has eluded even some of his more dominant counterparts who also hold gold. 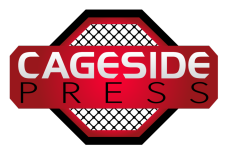 While he has begun to collect accolades outside the cage, they have been the result of gaining attention with performances inside the Octagon. Since winning The Ultimate Fighter: Smashes in 2012, he has put together an impressive 11-2 mark. Since moving up to 185, he is undefeated with stoppages of Ronaldo “Jacare” Souza, Derek Brunson, and Brad Tavares. After back-to-back victories over the formidable Yoel Romero, including last year’s Fight of the Year, Whittaker would further strengthen his argument as the top young champion north of Max Holloway. If there is a fighter built to rain on Whittaker’s parade in Australia, it is Kelvin Gastelum. 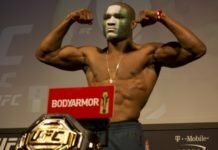 Since upsetting heavy favorite Uriah Hall to win the 17th season of The Ultimate Fighter, Gastelum has made a career out of exceeding expectations. 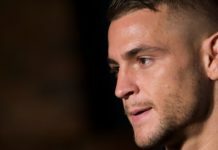 Despite a largely successful run at welterweight, his campaign at middleweight over the past several years has been a showcase of the strides he has made as a martial artist. 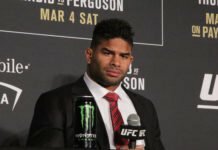 His finishes of Tim Kennedy, Vitor Belfort and former champion Michael Bisping quickly made him one of the top-ranked contenders in the middleweight division. 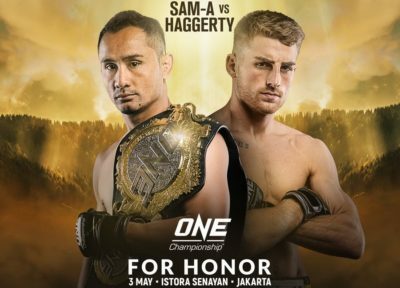 Last May, his nail-biting victory over Jacare Souza in a title eliminator finally put him over the top to get the title shot that he was unable to secure at 170 pounds. Still went to weigh ins! The reason his success continues to take some by surprise is because his setbacks have often had an element of self-infliction. 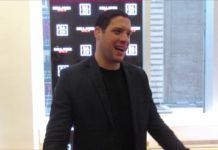 Most notably, his failure to make weight at UFC 205 that led to the cancellation of a marquee bout with Donald Cerrone and forced his move to 185. 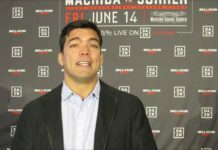 His blemishes have not only been weight-cut related; he also had his first round knockout of Belfort overturned due testing positive for excessive levels of a marijuana metabolite. Despite these setbacks, Saturday’s card is exactly the type of scenario he excels in. 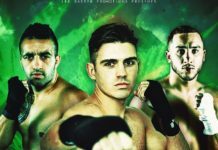 He has a 2-1 record when fighting in enemy territory and carries the experience and confidence of his past success as he goes into Australia. Gastelum’s route to an upset is to get into the pocket with Whittaker and throw with high volume. The challenger’s best asset is his ability to cover distance quickly and he should capitalize on it to keep Whittaker on the defensive in their exchanges. 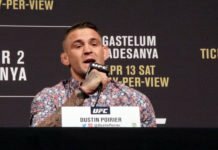 To cut away at Whittaker’s conditioning, Gastelum should also push the champion into the fence where he can wear him down in the clinch and go for a takedown if he should choose. If Gastelum can do enough work on the feet in the center of the Octagon, then being able to neutralize his opponent in the clinch could be the key to stealing rounds should the contest be close. Whittaker does his best work when he can pick apart opponents in the center of the Octagon with speed and accuracy. He is deceptively powerful and should look to keep the fight at mid-range where he can deliver the most damage. He is the slightly taller and longer fighter and being able to keep Gastelum at his range will be the key to shutting him down. Furthermore, he should avoid getting corralled against the fence. Whittaker’s ability to sprawl and defend takedowns is one of the best at middleweight so he should force Gastelum to shoot in the middle of the cage rather than allowing himself to be pushed into the fence where his rhythm will be disrupted. The winner of this fight will be acutely aware of the co-main event between Anderson Silva and Israel Adesanya. 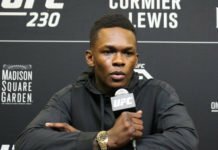 Silva’s status as one of the best of all-time and Adesanya’s style and personality make the winner of their bout the most marketable option for the next shot at the title. For Kelvin Gastelum, to reach the summit and become champion would be even more career defining than his often-celebrated Ultimate Fighter victory. For Robert Whittaker, a possible fight with Adesanya would be an instant sell-out in Australia or could even headline one of the UFC’s tentpole events later in the year. 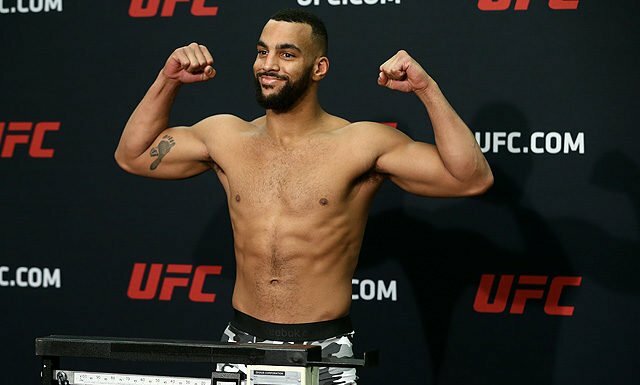 The Weight Cutting Chronicles: UFC St. Petersburg – UFC Debut?…Come on Down!